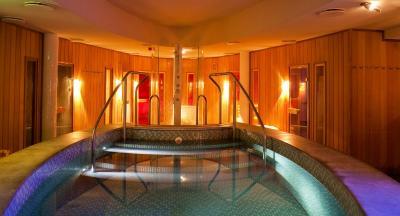 Lock in a great price for Spirit Hotel Thermal Spa - rated 9.1 by recent guests. We were returning to Spirit and found everything there as we left it 2 years ago. 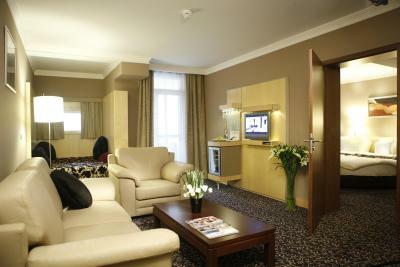 Rooms are very good quality, super clean, breakfast and dinner is very good, spa is one of the best in Hungary. Treatments very professional. Staff very helpful and doing their best to have satisfied guests. Everything was excellent. Spa area is great, food excellent with a lot of choice. Beautiful walks around lakes behind hotel and easy walk into Sarvar. Comfortable beds and large rooms. Excellent breakfast and dinner, comfortable bed with soft blankets, different water pools (incl. thermal hot water and a "river stream") to choose from for spending a day without being bored. We absolutely enjoyed it. The wellness is very nice and huge, the sauna is perfect. Very beautiful clean resort with magnificent thermal pools. 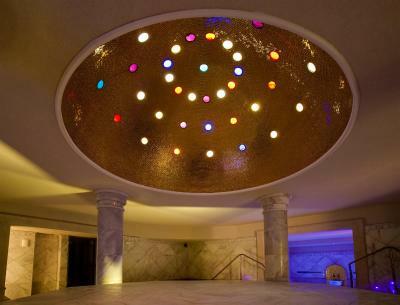 We are especially grateful to the employees of Moritz Bence and Batorfi Richard for the excellent Hamam procedure that exceeded our expectations. Great hotel with excellent spa facilities. 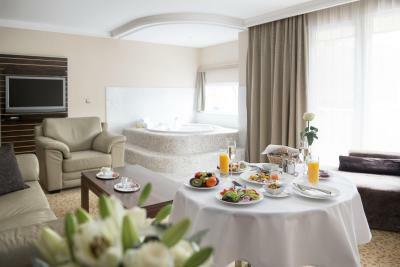 Clean rooms, confortable bed, nice breakfast. I have been here many times and the place is always very nice. very nice SPA, lot of pools for children - good entertainment. 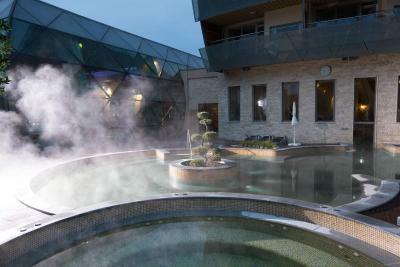 One of our top picks in Sárvár.Tranquilly located near the 7 lakes of Sárvár, Spirit Hotel Thermal Spa offers you 22 pools and a large therapy, beauty and medical spa centre. The Nádasdy Castle and the historical centre of Sárvár can be reached within a 15-minute walk. All rooms have their own balcony or terrace and feature internet access free of charge. 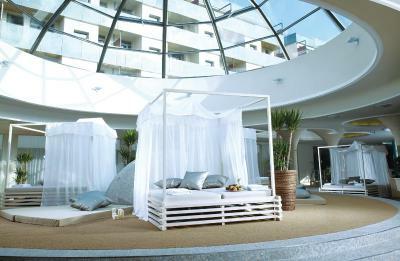 Find oriental round beds, fantasy corners or even a spa bath in some of the rooms. Apart from delicious international and local cuisine you can enjoy organic and dietary food in the stylish Onyx restaurant. The Oázis Wellness Centre, spread on 10,000 m2 features its own source, serving all pools and medicinal facilities with fresh thermal water. The Spirit Hotel also offers a well-equipped fitness room, bowling alleys, a squash court and 2 tennis courts. In the surroundings you can enjoy Nordic walking, cycling and horse-riding. Private parking is possible on site at an additional cost. Spirit Hotel Thermal Spa has been welcoming Booking.com guests since 9 Feb 2010. 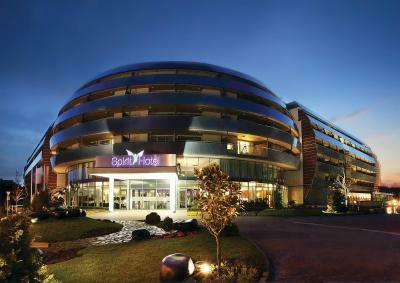 When would you like to stay at Spirit Hotel Thermal Spa? 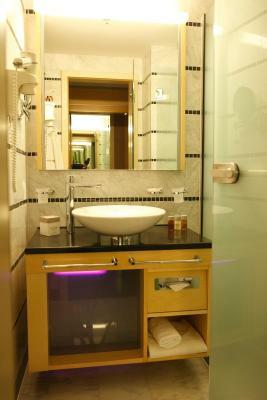 The rooms come with a single bed and feature a balcony or a terrace, a minibar and an LCD TV. 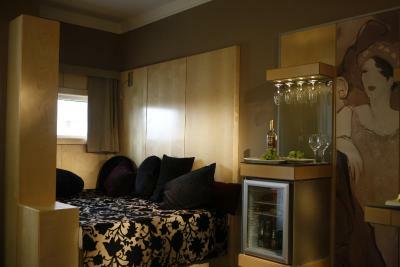 The rooms feature a balcony or a terrace, a minibar and an LCD TV. Guests can choose between a traditional French bed or a twin bed. This suite comes with a large balcony offers views over the lakes and forests. 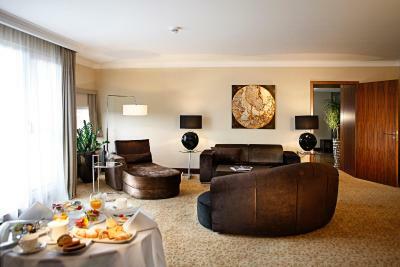 This oriental-style room has a 230 cm round bed, LCD TV and a terrace or balcony. Some rooms have lake views. This room is equipped with a spa bath and a round bed. This family room has a balcony or a terrace, minibar and a flat-screen TV. Please note that the price is calculated for 2 adults and 2 children under the age of 12. The hotel has its own mineral hot spring, a treasure of nature from the depth of 1,056 metres. All mineral hot spring pools are filled with this unique and healthy mineral hot spring water. In all mineral hot spring pools the water will be permanently refilled and will be completely changed every night. All mineral hot spring pools are 100% free of additional chemical substances. 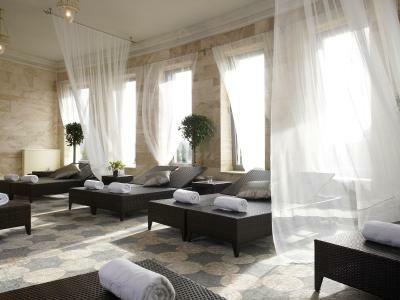 House rules Spirit Hotel Thermal Spa takes special requests - add in the next step! One child from 3 to 5 years is charged EUR 40 per person per night in an extra bed. One child from 6 to 11 years is charged EUR 60 per person per night in an extra bed. Spirit Hotel Thermal Spa accepts these cards and reserves the right to temporarily hold an amount prior to arrival. In case of travelling with children, please always inform Spirit Hotel Thermal Spa about their age. Please note that male guests are kindly requested to wear long pants in the restaurant. Please also note that on the weekend of 2-4 December children under the age of 12 years old cannot be accommodated at the hotel. Please note that parts of the Oasis Wellness- and Spa Area will be closed for maintenance at various periods throughout 2019. The Indoor pool for children - 04 March, 06 May, 03 June, 01 July, 05 August, 02 September, 07 October, 04 November, 02 December 2019. Various other pools and hot tubs will be closed at various times, but alternatives will be available. Please contact the property for more details. I have been in many hotels before and when we paid for half board the soft drinks were always included in the deal. Not in this one. You will not get a glass of water with your dinner. I have to say the sauna show in this hotel was one of our best sauna experiences. The sauna master was so enthusiastic and passionate about it. We loved it. There was a pianist playing in the lobby after dinner, we had a lovely time. The live music created such a great atmosphere to have a glass of wine and chill. Sometimes wrap-up at dinner is starting before 10pm. This should be checked and solved because it may cause inconvenience for the guests. Food and drinks which are not included are a little too expensive. 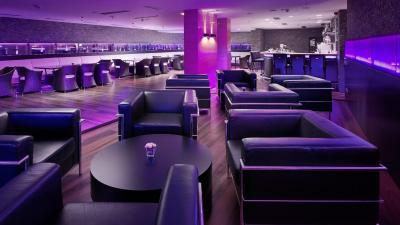 For example it would be nice to have a selection of soft drinks on the house. Treatment prices are high. Maybe only that you now have to pay to stay all day in spa on check out day. This is quite new. It Was a unique space for us until this Week. We are permanent customers Who like to come every season but this year we are sadly not fully satisfied. The cousine fell to the hell and it is Really difficult to choose the right combination as far as we tried every Evening. The service of the restaurant look with So angry and bothered If you ask for anYthing... The procedures booking Was terrible Even we booked via the phone 4 three month in advance! treatment slots there were free Just few only on the arriving day So late. It was disappointed about the parking. Ok, I have to pay for it, but it is on the oder side of the road and we could park our car very far from the entrance. It is a very expensive hotel and the parking is very bad. There were slippers provided by the hotel, but you are not allowed to use them in the spa area. You were expected to bring your own slippers. The spa area was very slippery. The spa area was badly lit and it was impossible to read a book after 4pm. German/ English speaking skills of staff was limited. the buffet dinner: very disappointing food. Definitely no 5 star quality. not a wide selection of vegetables or fish. Vegetarian dishes and fish tasted boring- no 5 star quality Cost of drinks very expensive and an extra service fee was charged. You have to pay for parking, but we were not informed about the additional parking fee.